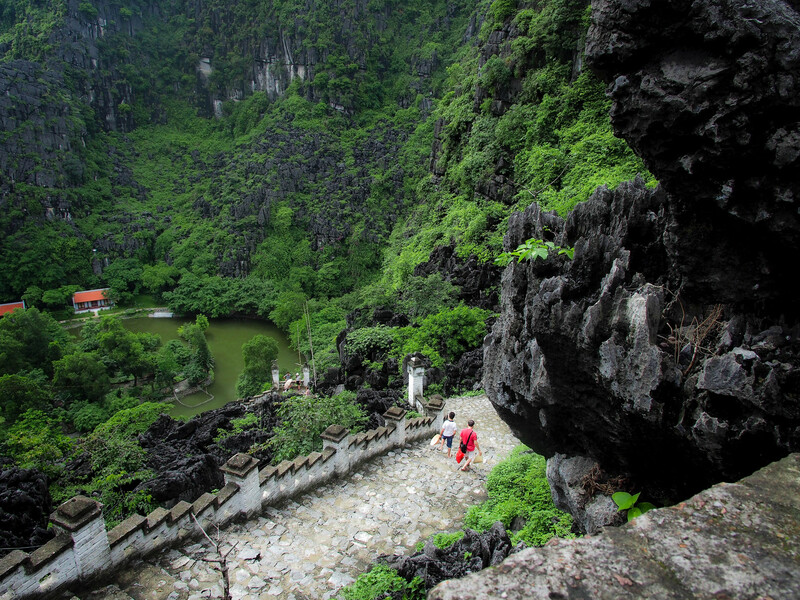 Towering rocks that once protected the feudal capital of Vietnam await those who crave a taste of raw nature. 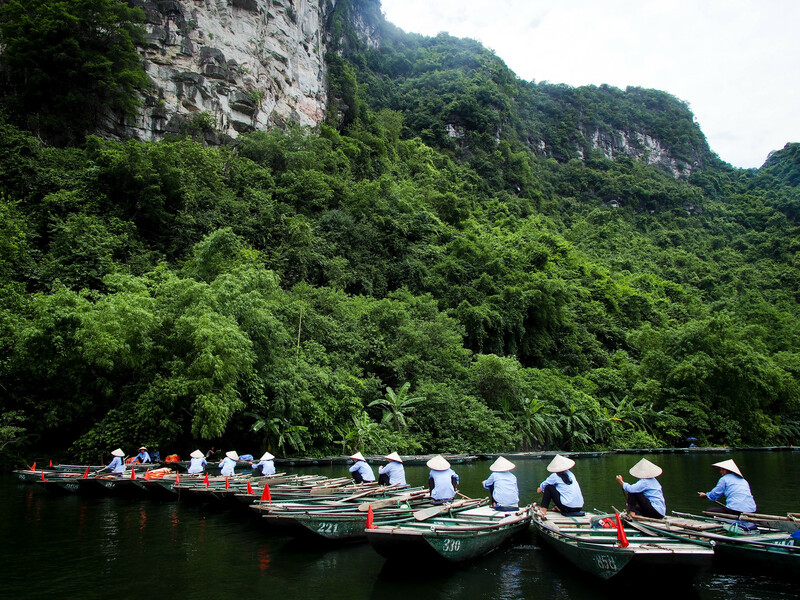 On a typical Friday, hundreds of tourists flock to the narrow dock at Trang An, Ninh Binh’s largest limestone complex. 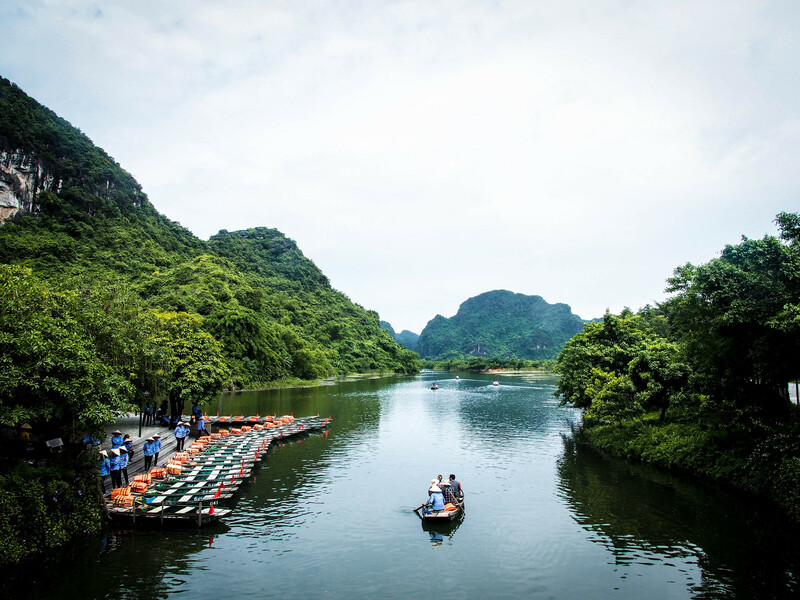 From here, boat after boat set out to explore a maze of 250-million-year-old limestone karst towers and waterways, which covers over 6,000 hectares (14,800 acres). 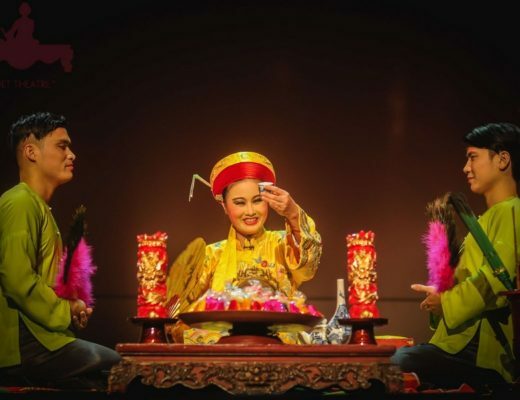 According to UNESCO, the Trang An Complex displays signs of human activity from more than 30,000 years ago. 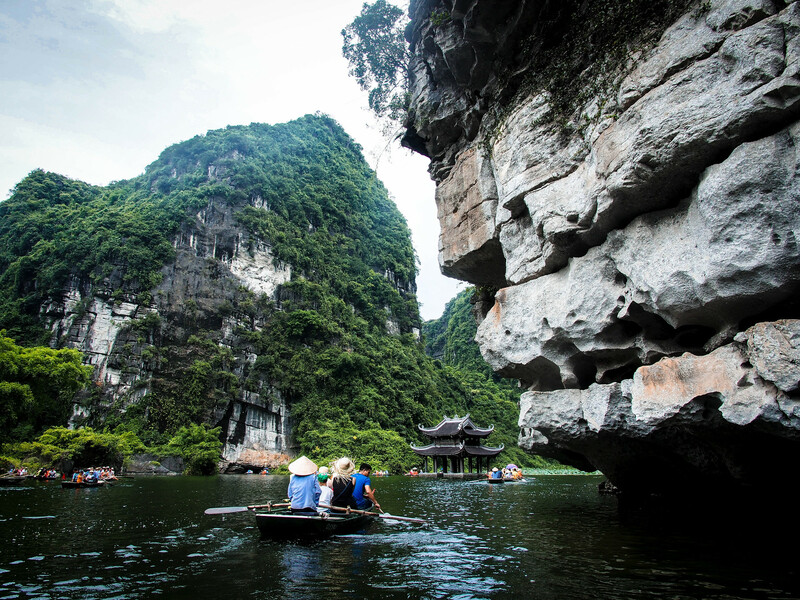 The sea has invaded the area several times in recent geological past, but now limestone towers rise up to 200 meters above the water. 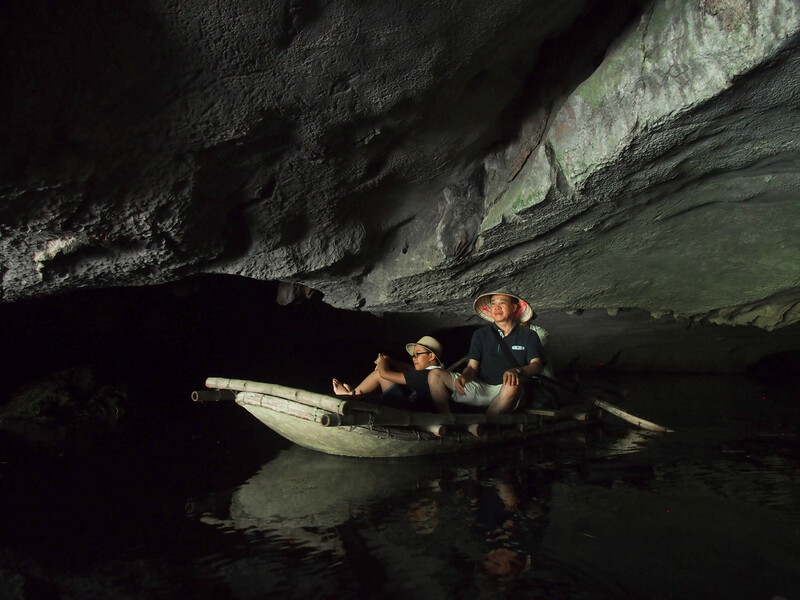 A boat drifts into a dark, narrow cave. 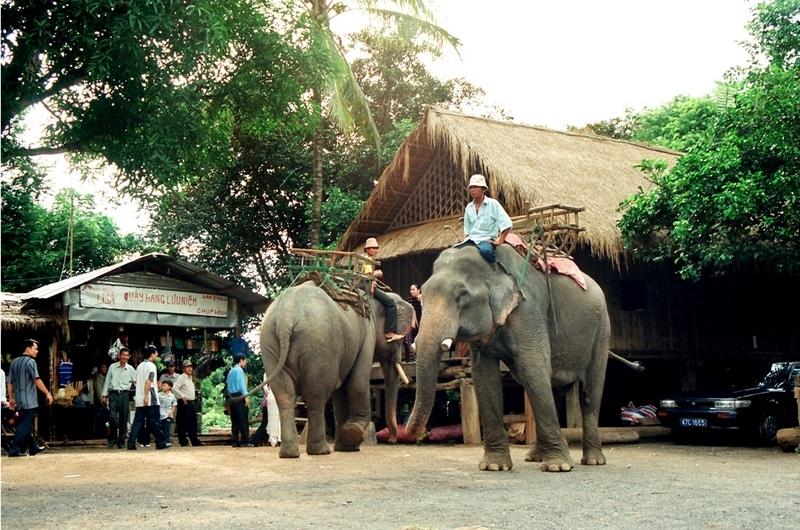 A total of 48 caves have been explored, and a two-hour tour will take tourists through four or five of the biggest. 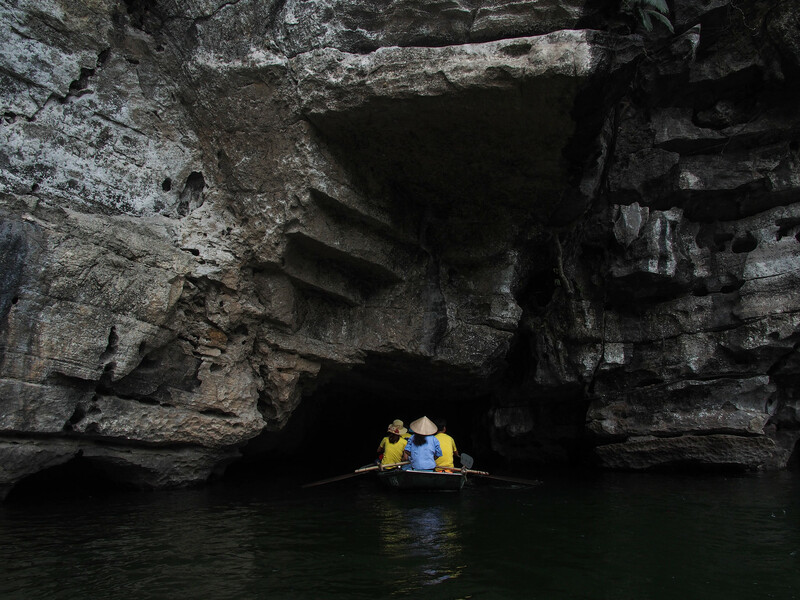 During the rainy season, it takes skill to weave through these majestic limestone gateways. 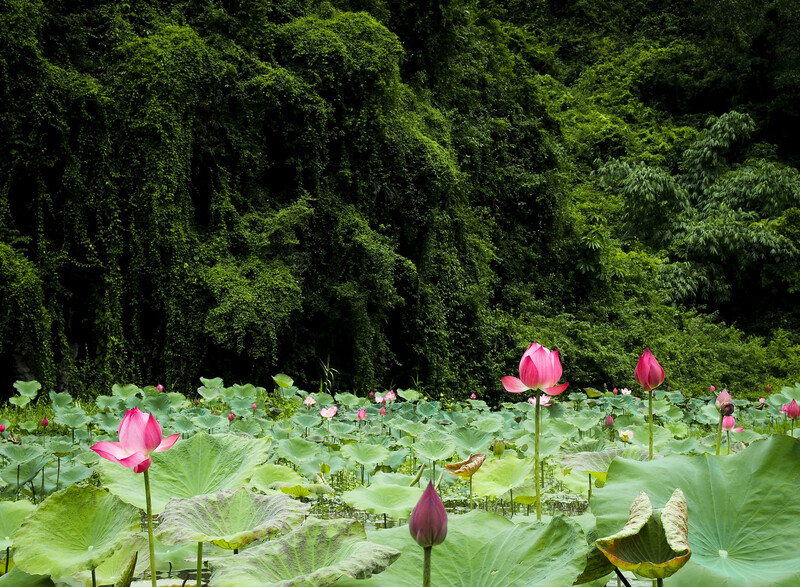 Lotus blossoms at the foot of a karst cliff in Trang An. Around June and July, lotus flowers can be found in ponds, lakes, dams and rivers around the province. 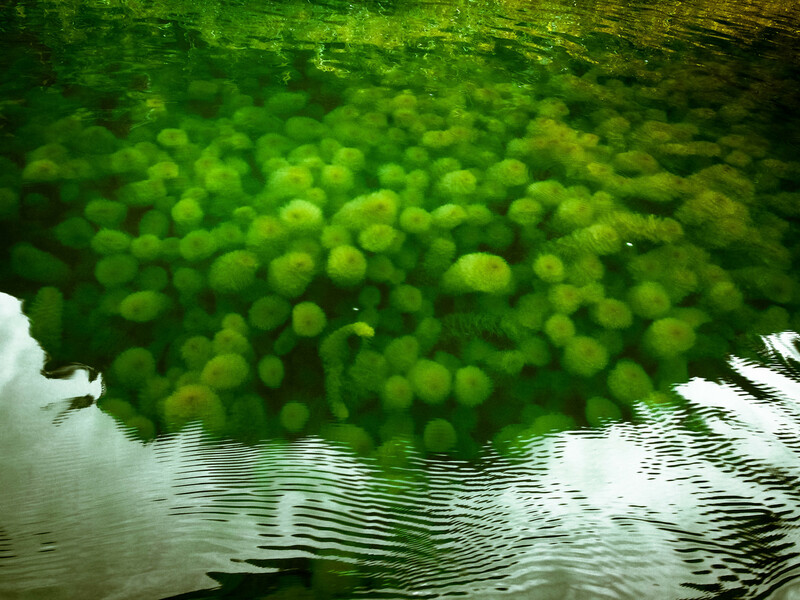 Hornwort dominates the surface under the lotus beds. 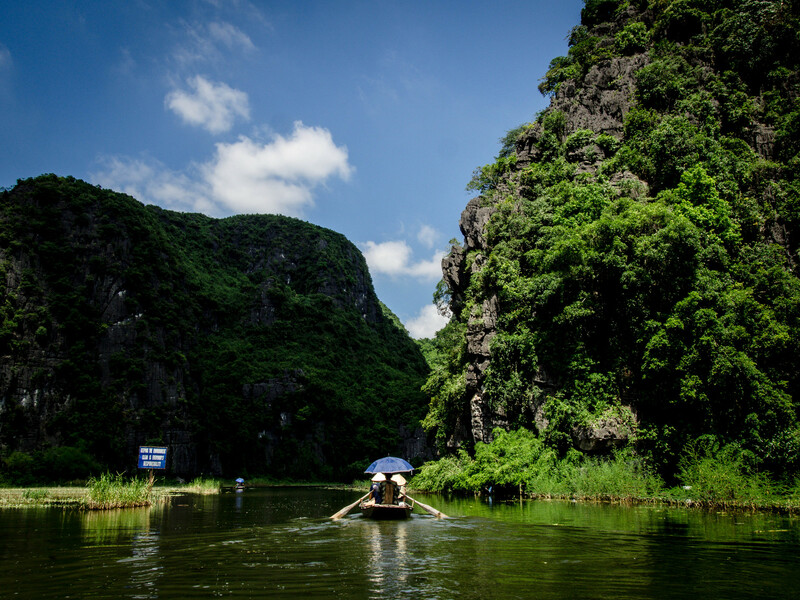 The submerged, free-floating plant is a signature of Ninh Binh, a sign of a water clean enough for locals to cook, bathe and wash their clothes in. A flotilla of boatsmen and women return to the dock. 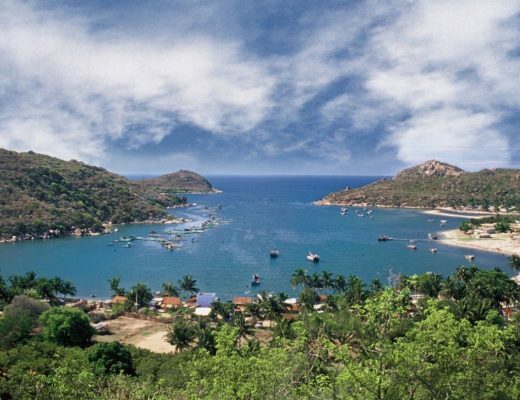 “The boats here queue up for passengers. 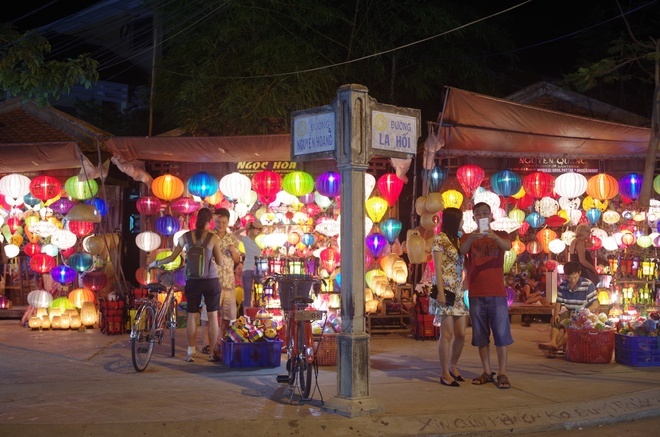 There are around 3,000 boats, so I only do 5-6 trips a month,” one boatsman said. 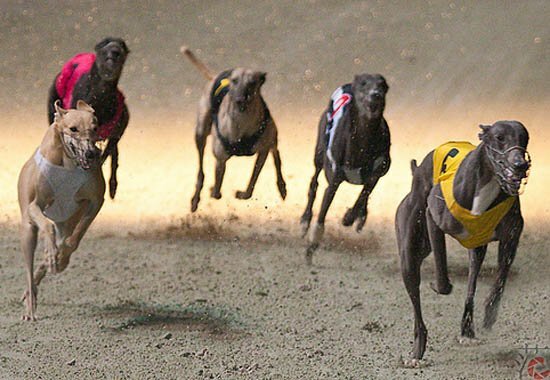 Each month, he earns around $70, plus tips. On the dock, dozens of boatsmen wait in line for their next passengers, which could take up to a few days. 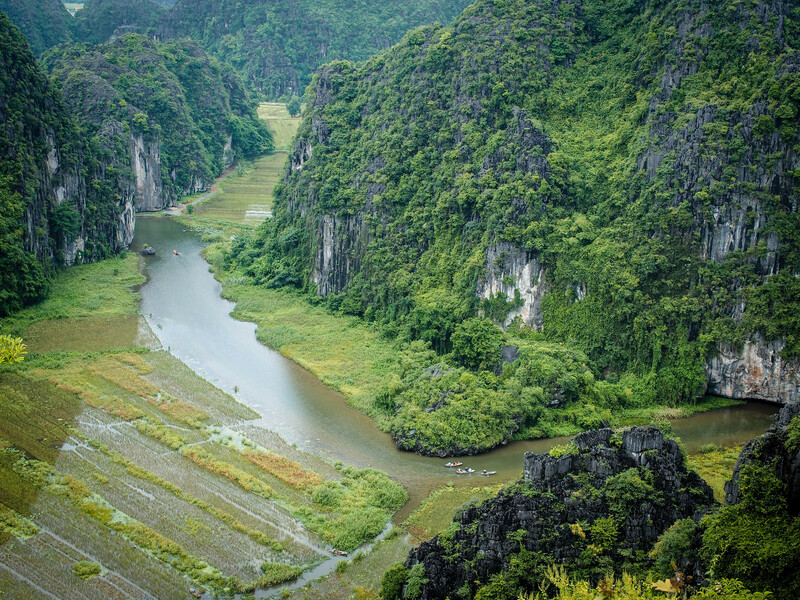 Around 12 kilometers from Trang An, Tam Coc, another karst landscape, offers a less dramatic view, with paddy fields, lotus blossoms and ducklings. 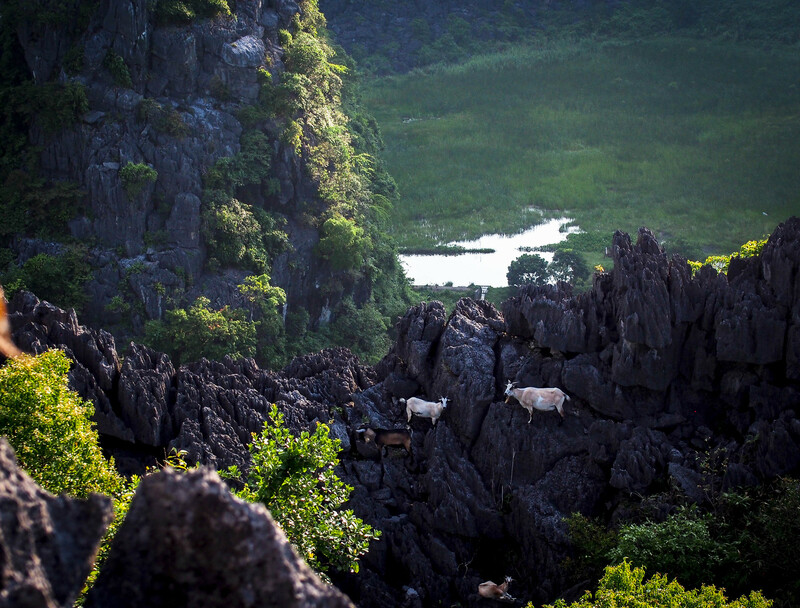 Two goats on top of a karst mountain near Tam Coc. 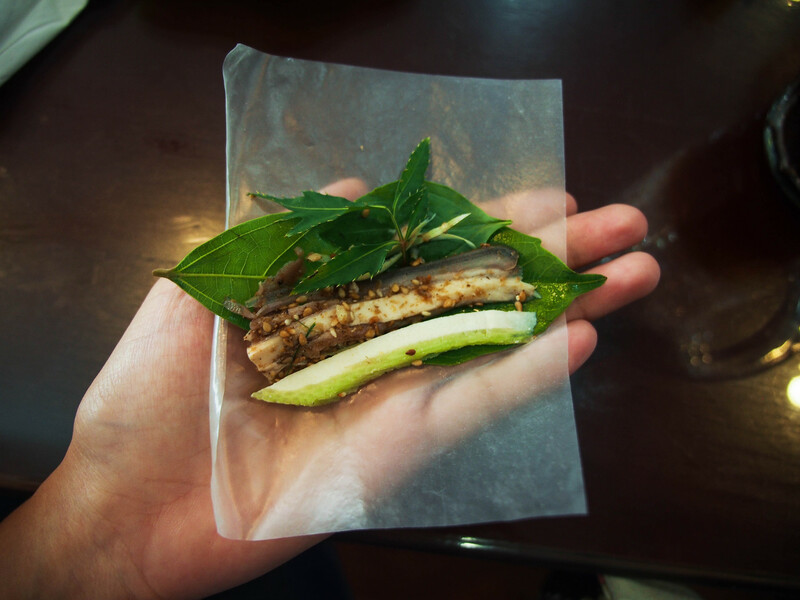 In Ninh Binh, goats roam freely to eat tree leaves, before ending up on dinner plates. 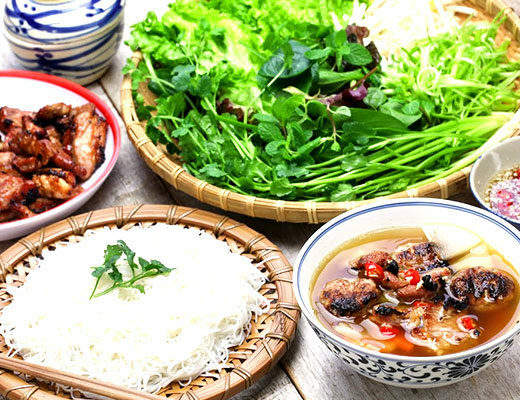 Goat meat restaurants in Ninh Binh offer up to twenty dishes, from barbecue to spring rolls, and herbal soup to curry. 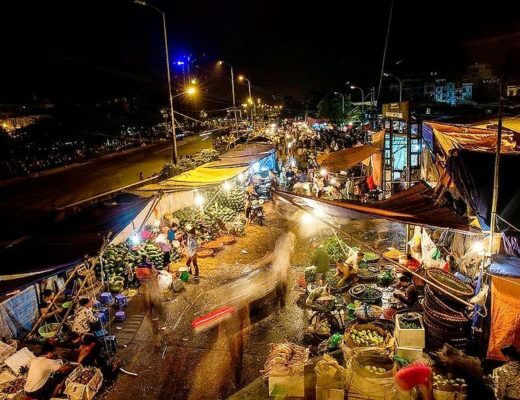 In Vietnam, goat meat is a specialty to feast on while getting blind drunk. The most popular: goat meat spring rolls. 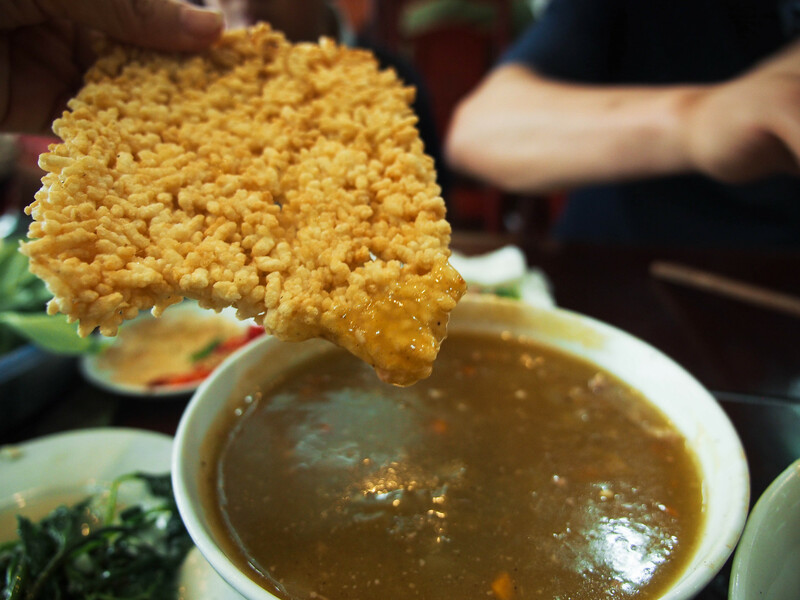 Must-try: goat meat curry soup with rice crackers (com chay Ninh Binh). 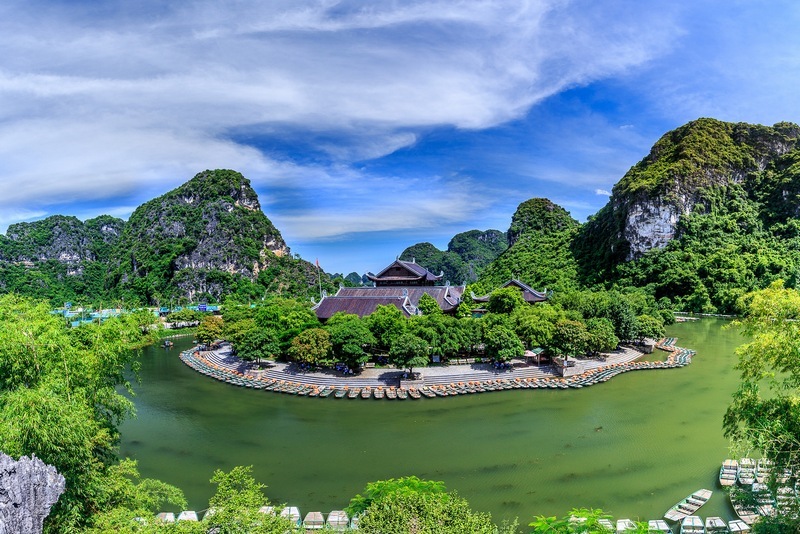 For a panoramic view, bring water, snacks and spare an hour to hike up the stone staircase to Mua Cave, which zigzags up about 500 steps. The view from Mua Cave. 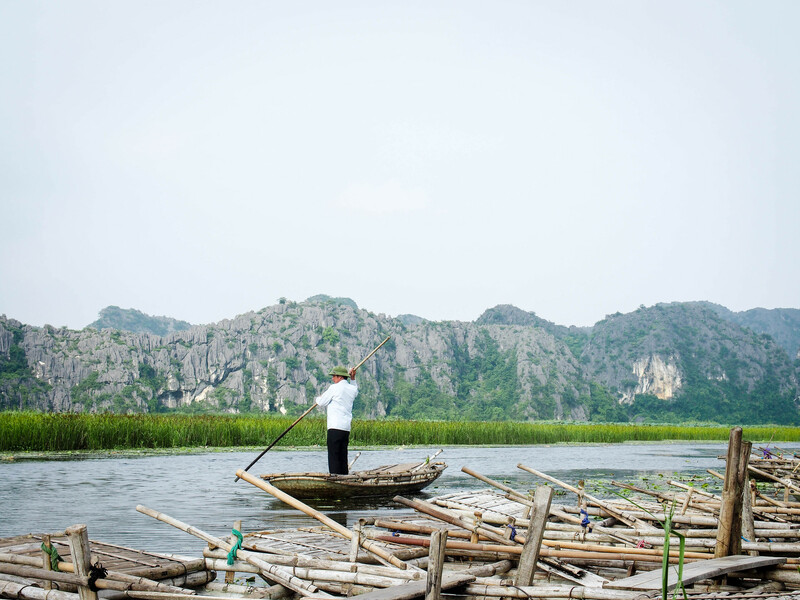 About 20 kilometers from Trang An, a man rows his bamboo boat in the Van Long Nature Reserve, the largest one of its kind in the Red River Delta. Here villagers talk hornwort, the endangered Delacour’s langur and auditioning for “Kong: Skull Island”. 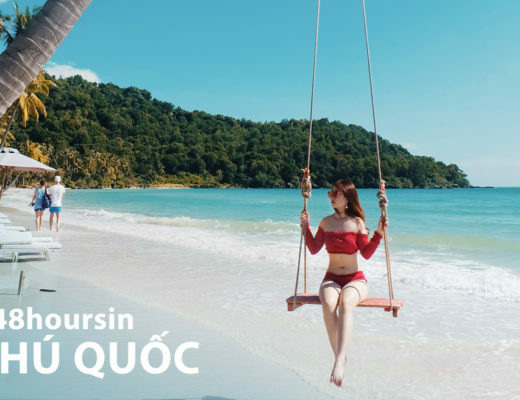 “Almost everyone auditioned but we didn’t recognize the people in the film,” one boatsman said, just before gasping to point out a pair of Delacour’s langurs jumping between cliffs. 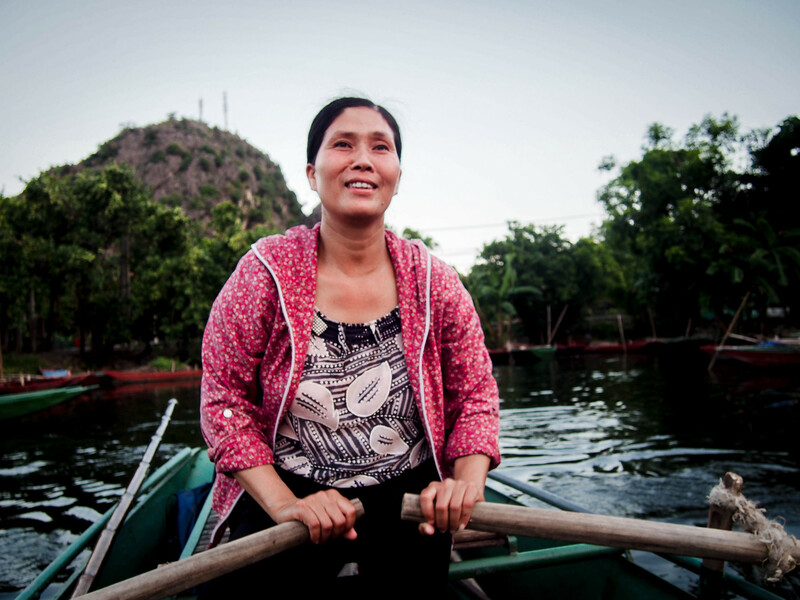 A woman eagerly heads to her last ride of the day to a small lake near Tam Coc. 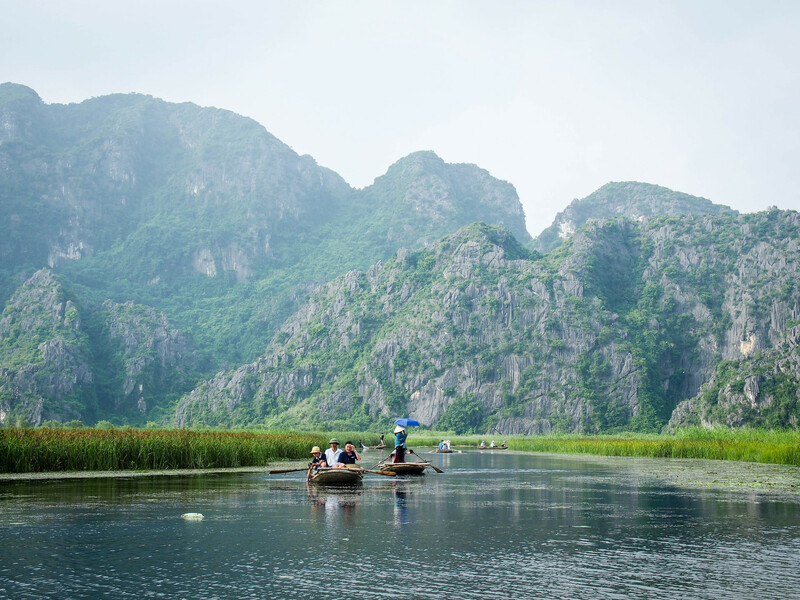 Asides from the main attractions, many small lakes offer cheap, short boat rides, which lead to smaller, well-hidden parts of the karst cliffs and winding waters.